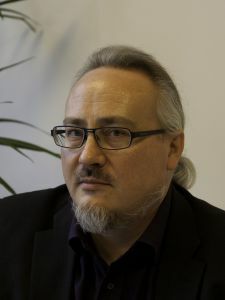 The person behind the sub-project on health and social services reform and new competence is Timo Sinervo, PhD (social sciences), Research Manager and Docent at the National Institute for Health and Welfare, unit for Social and Health Systems Research. Sinervo’s educational background is in education science, and the field of his doctor’s thesis was social psychology. His research experience is relevant especially to social welfare and healthcare work and research in organisations and personnel. The health and social services reform and new competence occupies most of Sinervo’s time at the moment. Sinervo reflects that so far, the discussion has mainly been about organisations and structures. After the reorganisation of structures, however, we should move on to improve the operating practices. This work is already well under way in the organisations that are the subject of the study. They have been successful in creating more client-responsive practices. If the health and social services reform goes ahead, however, many things will change. This is precisely what interests Sinervo: how will they change? Competence alone is a large theme. It may be relevant to the qualifications that young people are completing: are the current professional titles the right ones, or should the integration of social welfare and healthcare start already in the education? On the other hand, this is to a great extent a question of how the current activities will be reformed. Do today’s employees have the right type of competence, and if they do, how will the activities be changed?